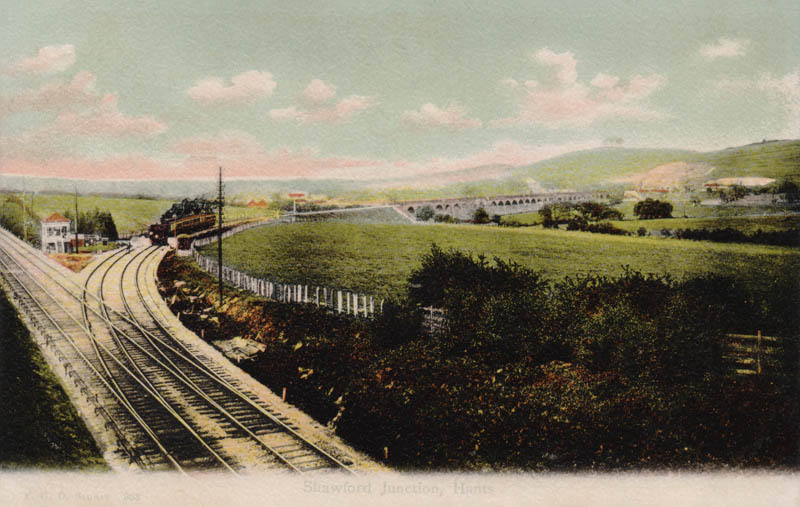 Now the site of the M3 cutting through Twyford Down. Stuart waited for a train to cross the single line Hockley Viaduct. The viaduct survives and can be walked across today.